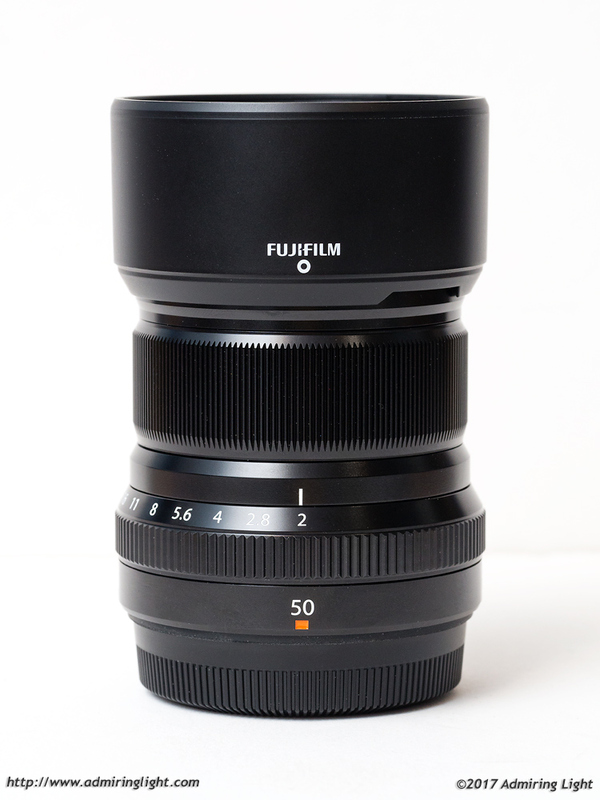 Today’s review: the new Fuji 50mm f/2 R WR. This is the third lens in Fuji’s new compact f/2 prime series, joining the 23mm f/2 and 35mm f/2. All three of these lenses offer slower apertures than similar faster primes in the Fuji lineup, but Fujifilm has maintained high optical quality with these slower lenses, truly offering them as a more compact and still very high quality option, unlike many manufacturers whose slower lenses are often sub-par optically. The 50mm f/2 doesn’t quite match the faster 56mm f/1.2 in focal length, but rather provides a slightly wider angle of view, equivalent to a 75mm on a full frame camera. Let’s take a deeper look at this new lens. 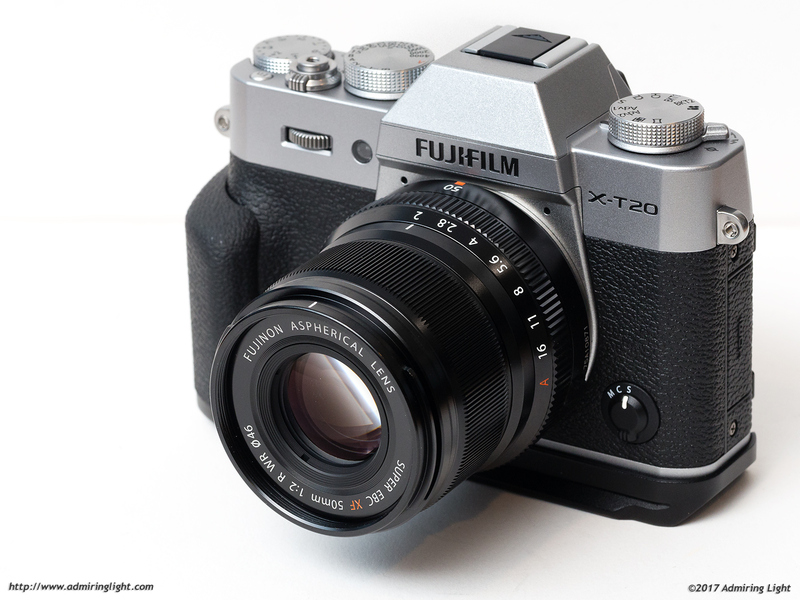 If you’ve seen the 23mm f/2 or 35mm f/2 from Fuji, the 50mm f/2 shares the same design language. The lens features a fully metal exterior with a slightly tapered profile. The 50mm f/2 is slightly longer than the other two lenses in this series, as you might expect, but it is still a very compact lens. The lens is extremely solidly constructed, with no movement anywhere in the lens body, and beautifully crafted aperture and focus rings. The aperture ring keeps the wonderful gear-like feel that the 23mm f/2 and 35mm f/2 have, and this really helps the lens feel like a premium offering. The focus ring is well damped and smooth to turn, though like almost all Fuji XF lenses, it lacks a focus scale and operates the focus by wire rather than by direct coupling. The 50mm f/2, like most of Fuji’s lenses over the past two years, carries the ‘WR’ designation, denoting its weather-resistant construction, providing some protection against dust and water intrusion. Due to the light weight and compact size, the lens handles beautifully on any of the Fuji X-Series cameras, and feels quite at home on a smaller body like my X-T20. 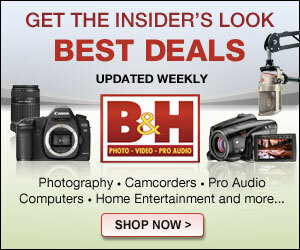 The lens includes a plastic lens hood that is a simple cylinder shape and is reversible for storage. The hood locks securely on the lens and provides reasonable shading of the front element. The f/2 prime series is a great addition to the Fuji X-Series. 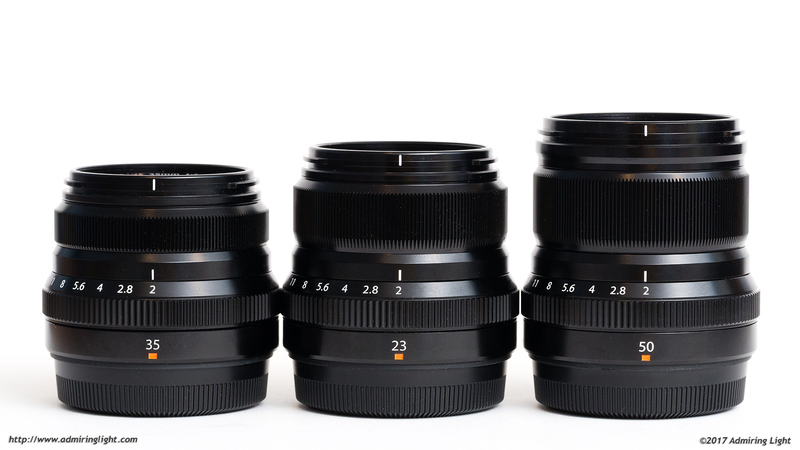 This series gives Fuji a fairly complete small lens setup, including the existing 18mm f/2 and 27mm pancake. This really allows for an extremely portable system that is only slightly larger than a typical Micro 4/3 setup. It’s nice to see Fuji give users a choice: larger, but faster lenses, along with compact slower lenses that maintain the high optical quality of the rest of the system. The 50mm f/2 features a very quiet autofocus motor that is fairly quick in speed, but not as fast as some of the other lenses in the Fuji lineup. In all, it’s perhaps a touch faster than the autofocus in the 56mm f/1.2. I found focus to be very accurate in my time with the lens, and it also performed quite well in good light with continuous autofocus. 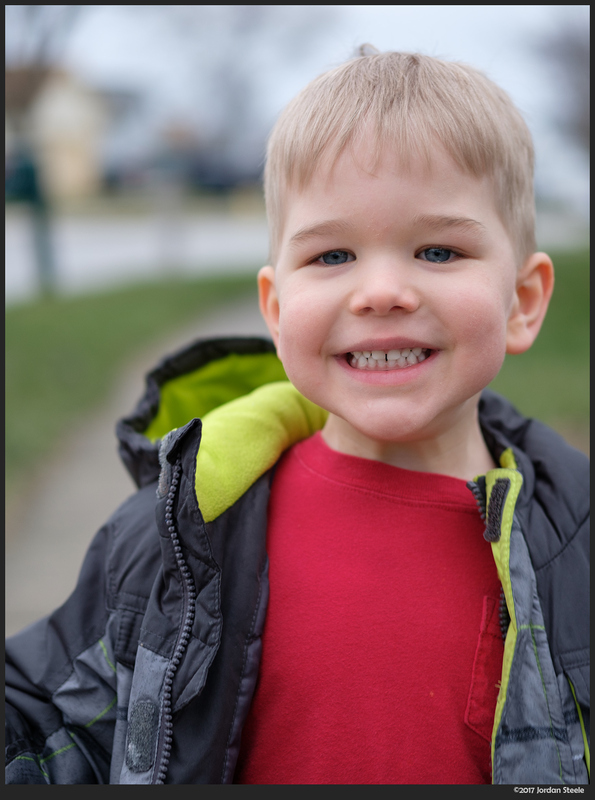 The shot below was taken with continuous AF as my son ran towards me. The 50mm was able to maintain focus quite well throughout the run.